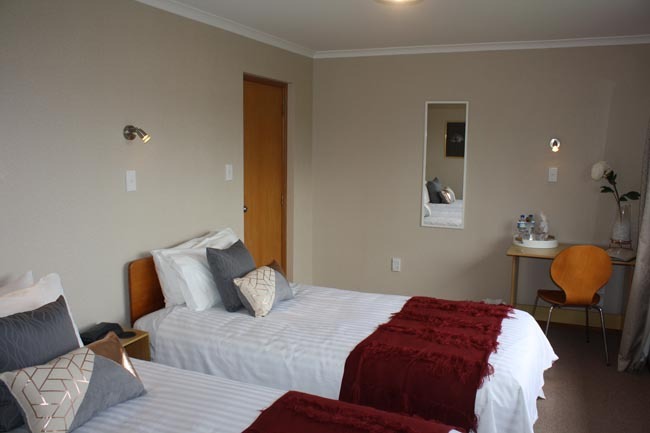 Jenny's offers you cosy, homely hospitality just 1km from Bell Block beach. 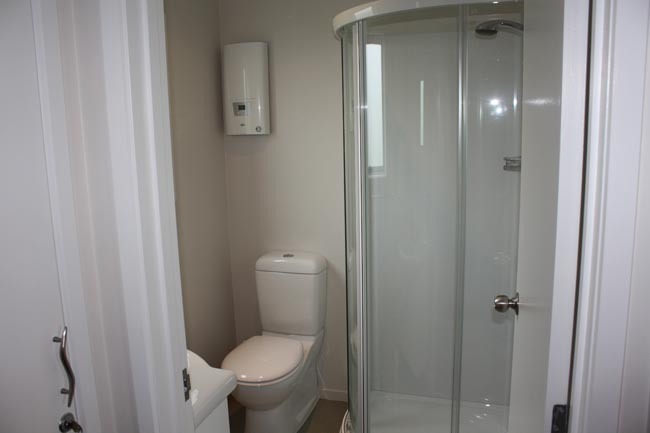 I have two rooms available - each one has its own ensuite facilities. One room has a queen-size bed in it - the other has 2 single beds (one is a king single). Each room has a desk and chair and with free wireless broadband available makes it possible for guests to catch up on internet activity. A breakfast menu will be available on arrival for you to make your own choice of food for breakfast and served at a time to suit you. 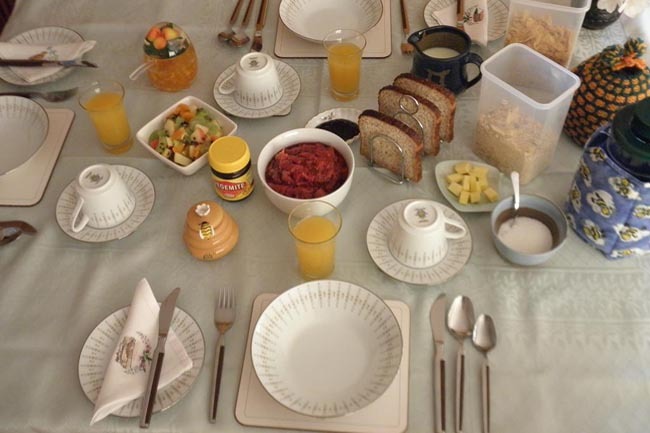 Homemade marmalade and home-grown rhubarb is included in the breakfast menu. Hot porridge and free range eggs are also available for breakfast. Home-baking is always on hand to have with your coffee and tea snacks. 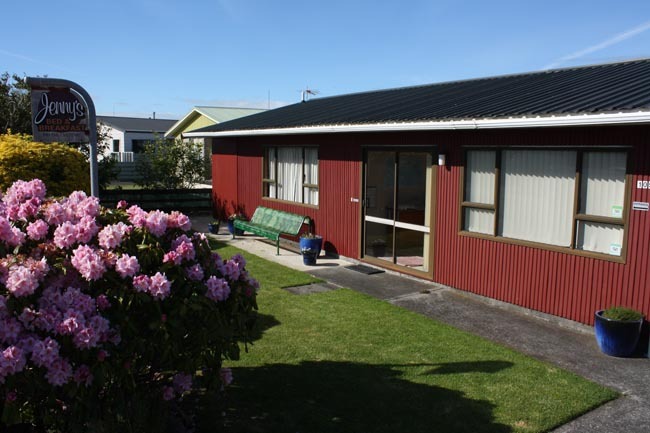 Bell Block is on your northern approach to New Plymouth with the Airport just minutes away. A laundromat is just 400 metres away. 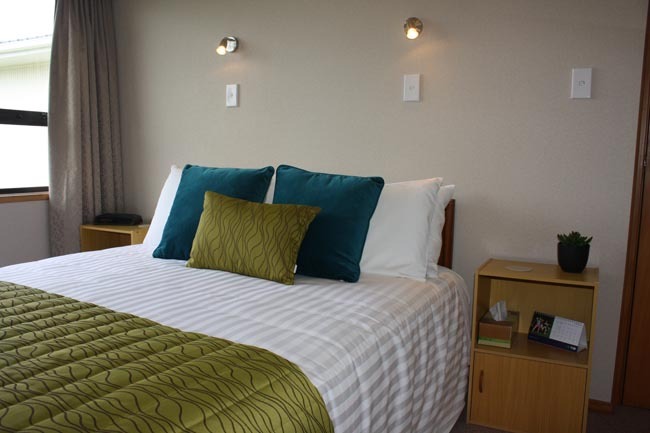 Waitara is only a 10-minute drive away and the CBD of New Plymouth is 10km away. The Coastal Walkway now extends right out to Bell Block (within 400 meters of my property) and is a very popular place to walk or cycle. The Walkway meanders over an 11Km course following the rugged west coast of Taranaki, through the city and to the western side of New Plymouth. Good variety of restaurants within 2kms. Check out Pukekura Park, the Windwand and PukeAriki Museum when you get to the city. I am happy to help you plan your tour of the city or district or arrange a way for you to see them with a guide. 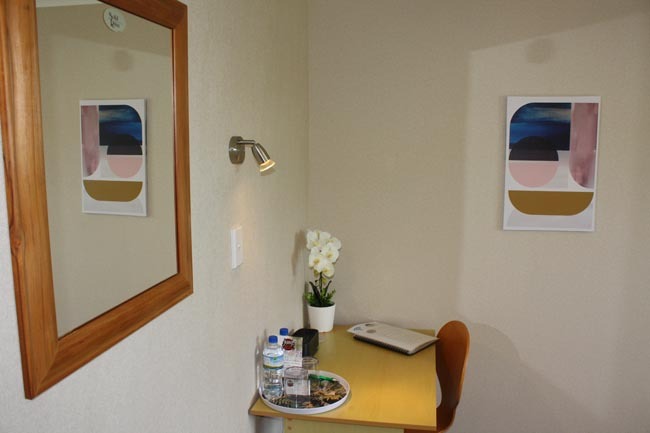 Each room (and private ensuite) is serviced daily to a high standard. A continental breakfast is included with an option of a poached egg. Free Unlimited Wi-Fi is included using Ultra Fast Broadband. Get advice from a local with what attractions to see in and around New Plymouth. Like to read some reviews? See here! I am quite proud of hosting so many guests and the reviews that they have left. Have a read on Tripadvisor and Booking.com to see what they thought of their stay. Want to come and stay with Jenny? That's great! Have a look at my calendar and book in using the SmartGMS booking service using the button above. Bookings via the SmartGMS platform require a 10% credit card deposit. The remainder is payable on check-out (Major Credit Cards or Cash accepted) or via bank transfer prior to arrival. The SmartGMS / SmartDirect platform is a direct booking platform between accommodation providers and customers. There are no commissions (unlike booking.com and Expedia), so the price you will see on this platform will be the best available price. The platform is fully secure and Credit Cards are processed securely through ANZ. If you need more information, give me a call or send us an email and I will get back to you as soon as possible!